Your body does it every day, several times a day. But your digestive health can change over your lifespan, depending on how healthy your overall habits are, your genetics, and your age. Understanding which digestive problems could affect you at certain times of your life can give you the power to make healthy changes to handle your digestive issues. Find out what you need to know about the most common digestive woes. Physical activity helps keep your digestive system working smoothly. Stay active with a variety of exercises for constipation and bowel health, like yoga. Should stomach pain, diarrhea, and fatigue have you wondering, "Could it be Crohn's?" Learn which persistent and recurring symptoms may be Crohn's signs. Gas, bloating, and heartburn do not have to be your fate. Conquer your bad digestive habits for a more regular, comfortable lifestyle with these digestion tips. You'd be surprised how passionately people hold onto their "gut" beliefs. Those digestive myths, like having a bowel movement once a day, persist. Just because you're grown up doesn't mean your stomach has settled down. Indigestion and constipation are just two conditions that can become more problematic as you age. Everyone gets bloated from time to time. What you eat or drink, and how you eat or drink it, causes the gas and discomfort you want to avoid. What's Your Digestive Health IQ? How much do you know about common digestive woes such as bloating, gas, and heartburn? Test your digestive smarts with this quiz. Take care of your internal health, naturally. Our digestive health products recognize the important role nutrition plays in supporting the body's ability to remove health-robbing toxins as well as maintaining a healthy colon environment. With herbal cleansing, fiber supplements and the gentle, soothing effects of aloe vera, you'll be glowing with health inside and out. This chart features products that address your digestive health. If you still have questions after reviewing it, speak with your personalhealth consultant about which products might be right for you. 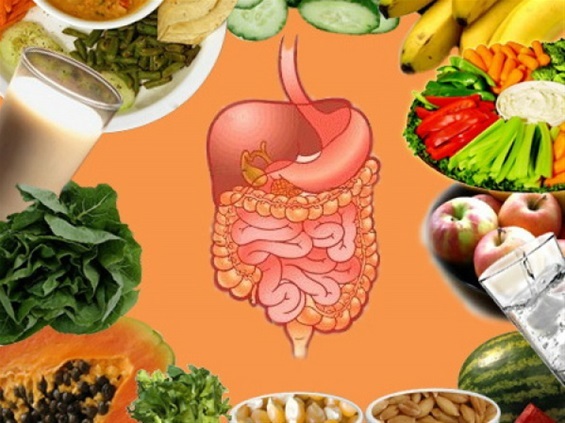 Without a healthy digestive tract, it is difficult to absorb or utilize nutrients. Flora-Fiber contains lactobacillus acidophilus to help maintain the proper balance of friendly flora in your intestines. And healthy fiber is added to provide natural cleansing during digestion. Help soothe your digestive system with this refreshing beverage, which also helps assist the self-cleansing action of your body. It's made from premium-quality aloe, along with the soothing herbal benefits of chamomile. Enjoy the ready-made drink or the easy-to-prepare concentrate for natural, citrusy goodness in every sip. 21-Day Herbal Cleansing Program supports your body's ability to remove health-robbing toxins and maintain a properly functioning colon. This gentle, effective two-step program consists of AM Replenishing Formula and PM CleansingFormula. Helps you feel happier, healthier and more alive than ever!